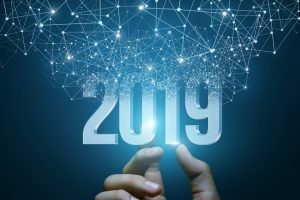 The advent of a New Year finds the media filled with reviews of the past year and Top 10 predictions about the future from esteemed prognosticators. I’d like to join the other forecasters and warmly welcome 2019 with a call to action in a challenging, yet opportunity rich healthcare environment. With a glance back at some of the notable thematic accomplishments, 2018 has certainly been marked by increasing appreciation for cybersecurity, the importance of the patient experience, the need to optimize already installed systems, a shared interest in all sectors to improve interoperability, and the realization that there is far more to health information technology (HIT) than just the electronic health record (EHR). In the minds of healthcare continuum participants – patients and families, providers, and payers – HIT has become essential. IT leaders will need a steady hand on the rudder to lead their organizations through some rough waters. Implement and manage practical and pragmatic governance for data, information, and knowledge. The healthcare sector is under threat from a “data tsunami”. The warning signs are everywhere, but not everyone is prepared to harness the energy of the tsunami to refine data resources into useful information and, ultimately, to create and share knowledge. Prepare for the surge. 1) Create a compelling value proposition. 2) Generate organizational will to ensure efforts will persevere. 3) Share your successes early and often. Encourage your stakeholders to review and challenge their nominal processes, identifying innovation in the ordinary. Lead by “LEANing” or use your own process improvement approach. Get the crowd involved. All IT professionals know how innovative users can be after IT solutions are implemented. Deploy IT solutions quickly and adjust rapidly. Do a self-assessment. Traditional IT Officer roles with a “C” prefix are changing: CIO, CISO, CMIO, CNIO, CTO. New titles are appearing: CAO (analytics), CDO (digital), CHIO (health). Except for the CTO, many of the individuals with old and new titles will not continue reporting to the CIO. The CIOs who can evolve and collaborate will succeed. Those who cannot will be replaced or find themselves reporting to someone else in the C-suite or to one of the titles that traditionally reported to them. Do you have the singular ability to champion and innovate clinical, administrative, and financial operations? No one does. Collaborate, coordinate, and communicate. Research outsourcing, again. Many of the skillsets and activities housed in the traditional Data Center have reached commodity status. Exploration of outsourcing provides real opportunity for the CIO. There are 2 good outcomes: 1) confirmation that you’re already doing the right thing, and 2) a better, faster, and/or cheaper way to operate. Outsourcing gives you the chance to focus on critical strategic initiatives, to enable operations without the distraction of “keeping the lights on.” With outsourcing you often get 1) broader, deeper skillsets, 2) improved financial performance and ratios (think about the impact on debt for major capital items), 3) flexibility and agility, 4) more consistent service levels, and 5) monitoring and other capabilities you couldn’t afford to do on your own. Address unhappiness with EHRs and other IT products and services. Poorly implemented HIT will continue to contribute to caregiver burnout if we don’t make changes with a renewed sense of urgency. Read Atul Gawande’s “Why Doctors Hate Their Computers” in November 12, 2018 issue of the New Yorker. It should inspire you to action. Consider a multi-vendor approach to mergers, acquisitions, and divestitures (M&A). Without an IT and supporting data strategy that supports a multi-vendor environment, the benefits of the M&A transactions that are happening with even more frequency will fall short of their potential. The stubborn notion that a common EHR will solve all problems is naïve. Even EHRs from the same vendor are often personalized and customized in very different ways to suit the culture of the buyer. During M&A, integration must first occur at the data level as a precursor to cultural integration. We live and function in a multi-vendor world. It is still common for IT shops to extract, translate, and load (ETL) data to achieve integration instead of using technologies that allow data to remain at the source. We need a higher level of “plug-and-play” healthcare data integration to accelerate benefits realization. Revisit your ERP (enterprise resource planning) solutions. The focus on EHRs was understandable and appropriate, but ERPs have largely been ignored. There are many 2018 reports (e.g., May 18, December 13) about the value that can be squeezed from reimplementing old ERPs or installing new ones. Protect the sacred trust that patients and families have placed with providers. Even though cybersecurity capabilities will improve, the number of breaches will increase. Continued diligence and focus on the human factors is crucial. Continue or create a culture of security and privacy. Embrace AI. Augmented Intelligence, often labelled as artificial intelligence, is a great way to instantiate best practices from the world at large. Every week, there are new articles about applied healthcare AI outperforming humans in many areas including medical image review, diagnosing some conditions, curtailing opioid abuse, and identifying cyber threats. Fortunately, AI allows clinical and other workers to function at a higher level, but the stress level for those with whom AI “competes” is high. Work with your leaders to start candid dialog about how to deploy it. Use the lessons you’ve learned from individual and organization change management. Revisit stages of grief to help people move to a new normal. Ensure that the individual’s and the organization’s change processes stay synced to achieve positive, substantial, sustainable change. Commit to a regular review of your life-work balance. Adjust as necessary. A better you makes a better us. A better us provides better care. Hurrah for 2019! Let’s make the best of these opportunities to improve the health of our communities, our nation, and our world. Wise counsel, excellent thoughts on beginning 2019! IT Is Reaching Commodity Status – Are You Taking Advantage? David Muntz on Interoperability – Make it so.